Landon Donovan concluded his first campaign in the Mexican league by watching his team defeat Guadalajara 2-0 in the final game. The former LA Galaxy player is currently with Club Leon and he was unable to help his team reach the play-off places. Guadalajara was in a similar situation and did not have a lot of motivation coming into the match.Donovan featured only for the last 15 minutes of the game. As a result, he has had only 112 minutes of action in the Mexican league over the six appearances that he has made forClub Leon. 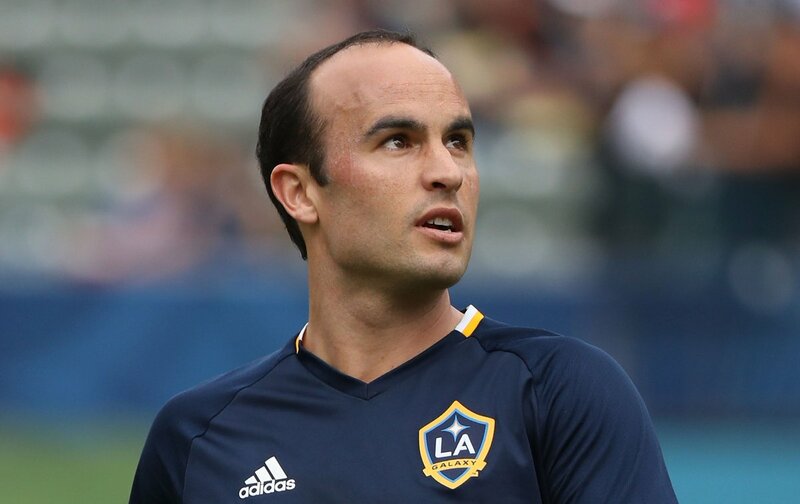 After briefly announcing his retirement from the game, Landon Donovan joined the MLS outfit back in January in a 12-month long contract. He is reportedly paid around $185,000 each month. However, the impact from the 36-year-old has been minimal at the best of situations. His only start forClub Leon came in the month of April when the club suffered a 4-1 loss against the Tigres. His only goal for the club came against San Jose Earthquakes in a friendly match. As a result,Club Leonhave not been using Donovan to a great extent of late. In the last 15 minutes that he played againstGuadalajara, the former US international created a huge brawl that resulted in the game becoming quite a disastrous affair. As a result of the result, Club Leon were able to finish 12th in the league, which comprises of 18 teams. It remains to be seen if Donovan will be retained for the 2018 campaign, which will begin in July. Back in his prime days, Donovan was one of the top American players around. He has represented the likes of Bayern Munich and Everton in his playing days. Donovan was able to achieve numerous accolades, while playing with Galaxy in the MLS.